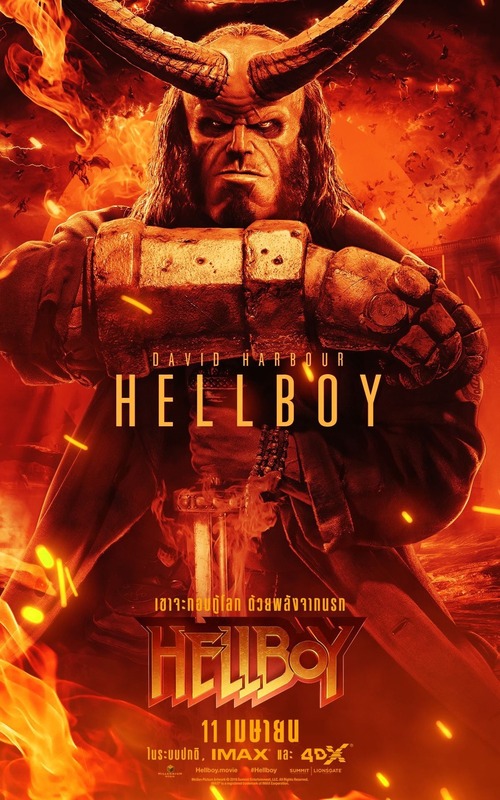 Ever since the prospect of a rebooted Hellboy was announced, many fans simply wondered “Why?” and to their credit, the filmmakers have stuck to their ideas of exactly why, the chance to do something new, something different, something more Hellboy. Harbour on the other hand was apprehensive about taking the role, saying he was confused and terrified at the fact that the producers thought of him for the role. Speaking of the “More R-rated” take on the material, that’s been the primary talking point for the reboot since its announcement. When asked, just what they meant when they referenced it that way or called it a “more horror” take on the character, both obliged with an answer. But what about making the film more in line with the source material? The Del Toro movies certainly drifted from the center, so what do you focus on to get the film back there? 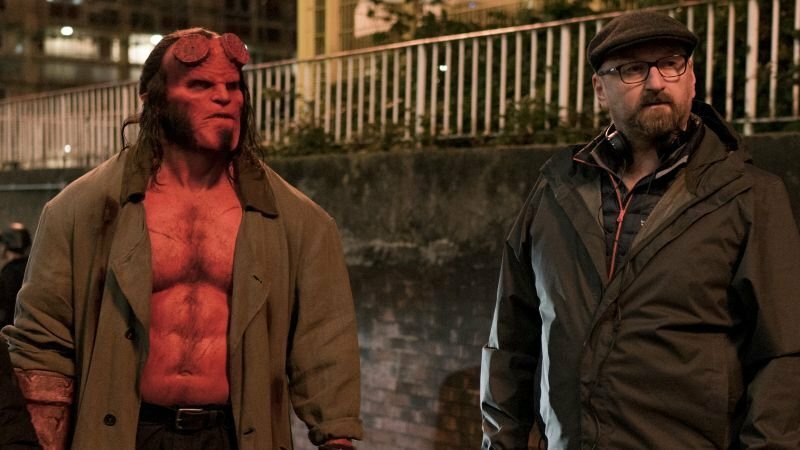 “Right at the beginning our wonderful production designer and DP came up with a color palette based on the color palettes that exist in the comics and we try and stick as closely as possible to that,” Marshall said, and we can confirm it, the visuals of what we saw on the monitors on set looked like a Mignola panel. Naturally, no comic book adaptation is an island in this day and age. Sequels, spin-offs, and universes have to at least been dreamed about for all of them. Harbour said he doesn’t like to think that way, instead preferring to deliver the best possible version of the character on the big screen. 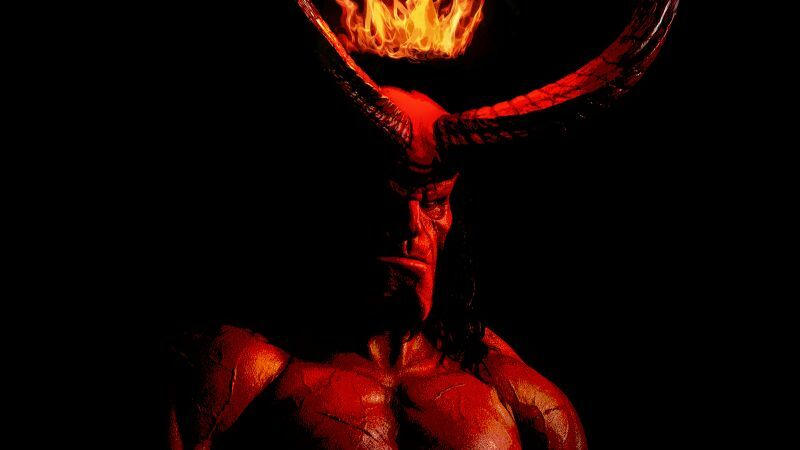 For the record though, he’d come back for other stories, and not necessarily just Hellboy. 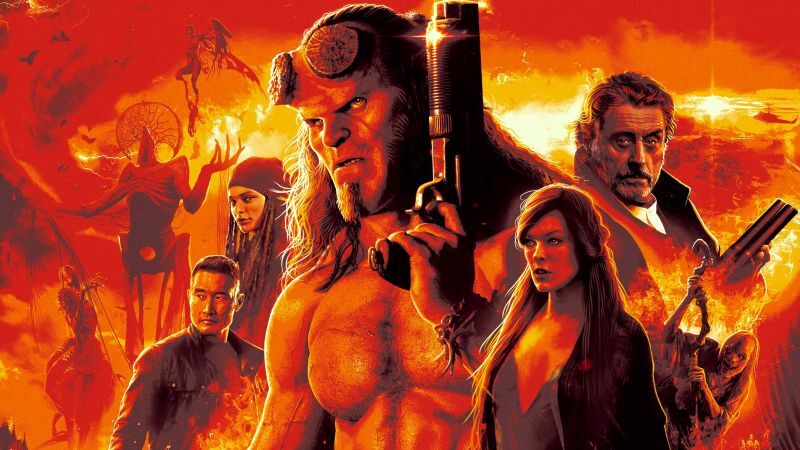 Hellboy lands in theaters on April 12, you can buy tickets by clicking here!